Having run out of ideas for birthday gifts for Johan, I decided to give him a trip to the bush. I spent hours on google, searching for private lodges that offer the bush-feel that I knew he would want (including at least some of the big 5) and yet fall inside the realms of affordability. There were none. So I went back to our national parks, and gave Johan a choice – Pilanesberg, Marakele, Mapongupwe, or Kruger. He picked Kruger, and specifically – Satara. In an attept to make the trip extra-special (it was his birthday gift, after all) we decided to start by spending the first night in the sleep-over hide at Sable Dam. What an experience! 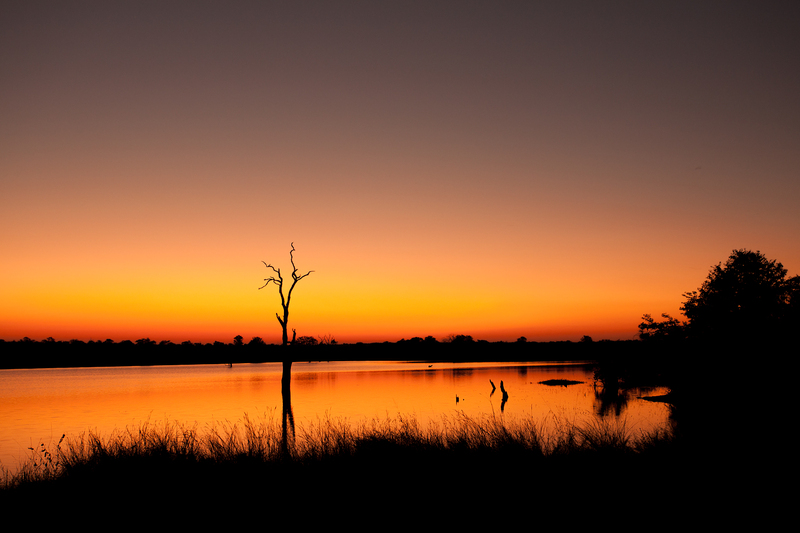 Any trip that starts with a sunset as spectacular as the one from Sable Dam hide, can only be good!